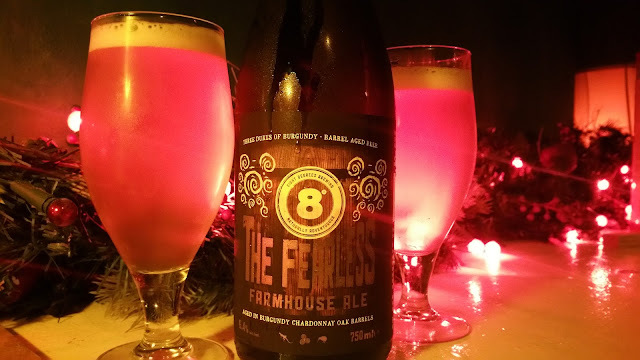 During the Beoir Christmas party on Saturday, I had a couple of bottles of the latest 8 Degrees beer. The Fearless is a member of their Dukes of Burgundy range for the winter months. It's a 6.4% Farmhouse Ale, aged in Burgundy Chardonnay oak barrels. It's vinous yet spicy with a wonderful body. Lashings of vanilla break through the spicy saison notes. The beer is pretty dry but with some fruity and slightly tart notes.